Council in partnership with the Cook County Health & Hospital System hosts this event. DR. GUERRERO’S bio is as follows: “She was born in Mexico City and raised in Chicago. She earned a bachelor’s degree in science, majoring in Nursing, Spanish Language and Literature. After practicing nursing for 6 years, she decided to further her education and earned her medical degree from University of Michigan Medical School. DR. GUERRERO completed her residency in Emergency Medicine at SUNY Downstate/Kings County Hospital New York and proceeded to do a research fellowship at Johns Hopkins Hospital. 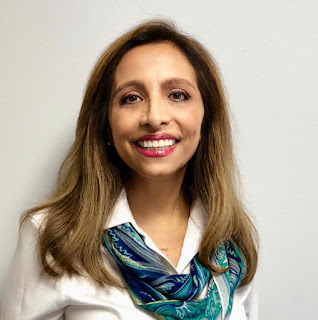 Currently Dr. Guerrero is an Assistant Professor at Rush Medical College and has been working at Cook County (Stroger) Hospital Emergency Department for the last 16 years. COOK COUNTY County Hospital treats patients from many countries, many who are limited in English proficiency and speak Spanish. During Dr. Guerrero’s time at Cook County she taught medical Spanish to students, residents, and faculty, and rendered care to the large population of underserved patients. MENTORING students at various levels (high school to junior faculty) is another role she takes seriously. Dr. Guerrero participates in Community Outreach Programs such as Health/Wellness Fairs, and city-wide events like NATO Summit, marathons, post-Katrina assistance, rural health in Honduras and has given several press interviews for our Spanish speaking residents; most recently on the Opioid Crisis. the inequity and disparities in healthcare, and she aims to close this gap by teaching students and caring for patients. Dr. Guerrero is a board member of MOLA (Medical Organization for Latino Advancement) and active member of the planning committee for NHMA (National Hispanic Medical Organization), and through these organizations she continues to participate in the growth of Latinos in healthcare”. Dr. Guerrero gives of herself unselfishly and is highly respected. MEN ONLY: It is a proven fact that men are reluctant to see a doctor when they are sick. Men must be encouraged or pushed by their wife, children, or a family member to make an appointment to visit a doctor. Many times, that visit is too late. WE URGE ALL men in Little Village to take advantage of the opportunity to get a FREE examination at the 4-Men Health & Wellness Fair. The health examination may help you understand the condition of your physical health. Please mark your calendar and come to the Health Fair. Bring all the men in your family. Your health is your wealth. amilia para programar una cita para visitar a un médico. A veces la urgencia es demasiado tarde. INVITAMOS a todos los hombres de La Villita a aprovechar esta oportunidad de obtener un examen GRATUITO en la Feria de salud y bienestar para hombres. Este examen de salud puede ayudarlo a conocer la condición de su salud. Marque su calendario y venga a la Feria de Salud y traiga a todos los hombres de su familia. Tu salud es tu riqueza, cuídala! • Blood Pressure, Blood Sugar, Blood Draw [if necessary]. • Free raffle, fruit, complimentary lunch and “goody-bag” giveaways.